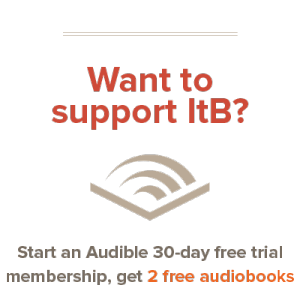 Anyone who has read my personal blog or any of my other Into the Book reviews knows that I am not generally a fan of romance (with a few exceptions). I am also vehemently against books that toy with the Bible, or change it in some form. Unfortunately, A Reluctant Queen by Joan Wolf, does both of these things. I went into the book determined to like it, but I came out with the exact opposite opinion. The story is familiar, of course. Esther, the unlikely candidate, was chosen by the king of Syria to become Queen. Through a startling series of events, she saves her uncle, Mordecai, but also saves her entire people, the Jews. The Bible story is an amazing account of how God uses unlikely people, and how His plan will be carried out, even in the least likely ways. I was dubious of the book from the start. Claiming to retell the Book of Esther, it was likely this book would deviate from the Bible’s story. I found this to be the case. The king which Esther marries in the book, Ahasuerus, does not exist in real life. This gave Wolf full control over the character of this king, which proved to be different than the Bible told, and what we know from history. She also twisted the character of Haman, changing his motivation from a hatred for Jews to a love for his king. This softening of an important ‘villain’, so to speak, in the Bible story, was uncalled for. Now, this book is overtly a love story. That being said, it did not need to include the level of sexual content which it did. It was just low enough that I decided to keep reading, but still way too much for my liking. Wolf’s tweaking of the actual events allowed her to write a story which basically is all about the world’s definition of love. Overt gestures and descriptions in the book are basically the focus of the book. It’s out of character with the original bible story, and totally uncalled for. I might possibly have been OK with the changes made from the Bible story had this unnecessary content not been in there, but with it; it’s just too much for me. 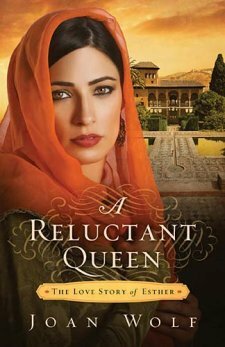 A Reluctant Queen should have been a great book. The story of Esther is, as the Bible tells it, is a great story, and would make a novel. This book, however, I wouldn’t recommend to anyone. The changes to the original story are bad enough, but the sexual content makes this book simply unacceptable. I wouldn’t recommend this book to anyone, and would extremely caution anyone else who wishes to read it. Mind if I link to this in my review? Speaking for Andrew, with his permission, go right ahead. Thanks! Thanks! My post is scheduled for the 8th. Aw, I hate when books that could be great retellings end up flat. Not cool. That’s not cool. Thanks for letting me know, Andrew. After “One Night with a King” (no, I did not read the book, just saw the movie), I’ve been intrigued by the biblical retellings of the story of Esther. I can scratch this off my list, figuratively. Outch but yes, to the point! Thank you for sharing your honest thoughts on the subject. I absolutely agree this could have been a beautiful story. The Book of Esther should not have been treated so lightly and the many historical misrepresentations are truly baffling! Thanks for the review, I’ll make sure to steer clear. Btw, have you read Hadassah: One Night With The King by Tommy Tenney? I quite liked that re-telling and I wonder if you’d read it? @Eustacia: have not read it, Eustacia. Was it good? I think it was quite good. I liked the fact that they were respectful about the use of God’s name by ‘censoring’ it as “G-d”. There are also no explicit scenes whatsoever. Hrm, interesting. I have never heard of this book, and I didn’t know there was another retelling of the Esther story. I have read “Hadassah: One Night with the King” by Tommy Tenney, and by my knowledge of the author’s research, it is historically accurate and quite a good read.